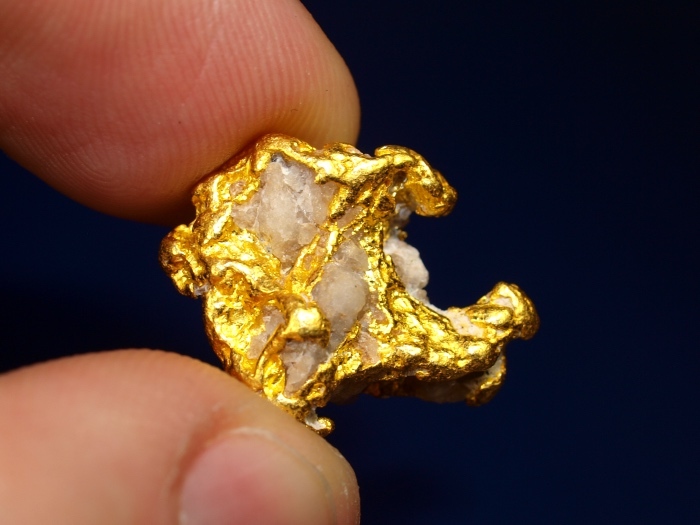 This is a super nice piece of natural gold in quartz found in the remote outback of Western Australia. 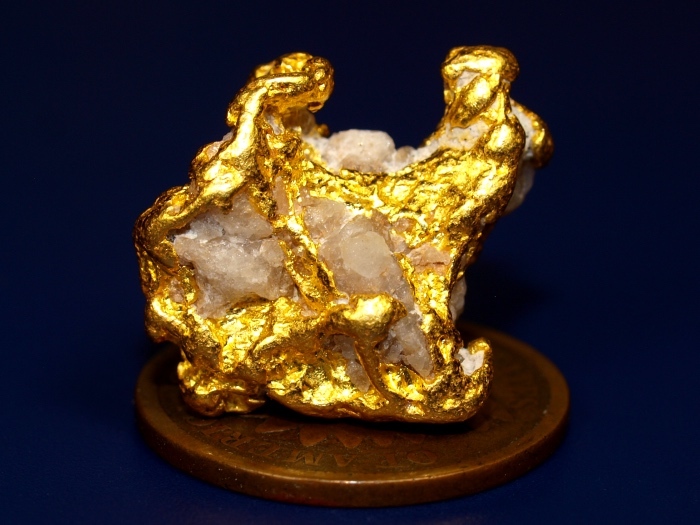 This piece has a lovely matrix of smooth bright gold and white quartz. 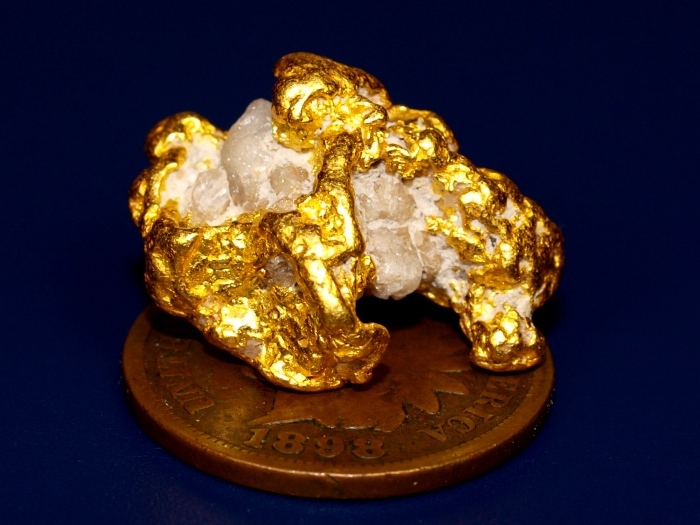 The total weight of this piece is 10.84 grams. 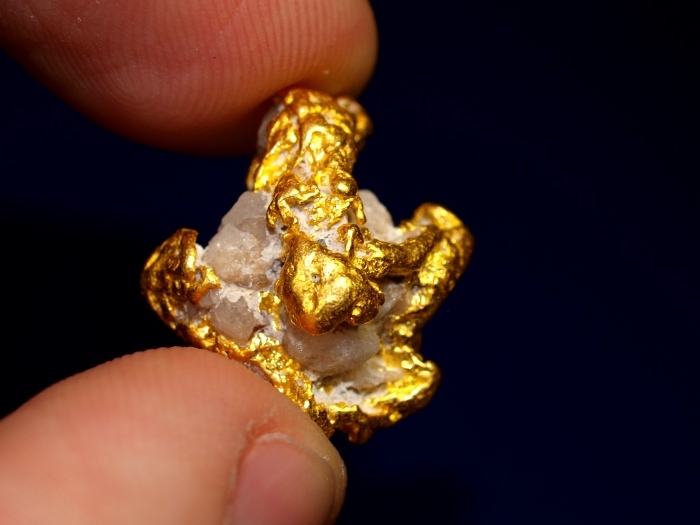 It is a fine example of gold from this region and a very nice example of raw gold that has eroded from its source.